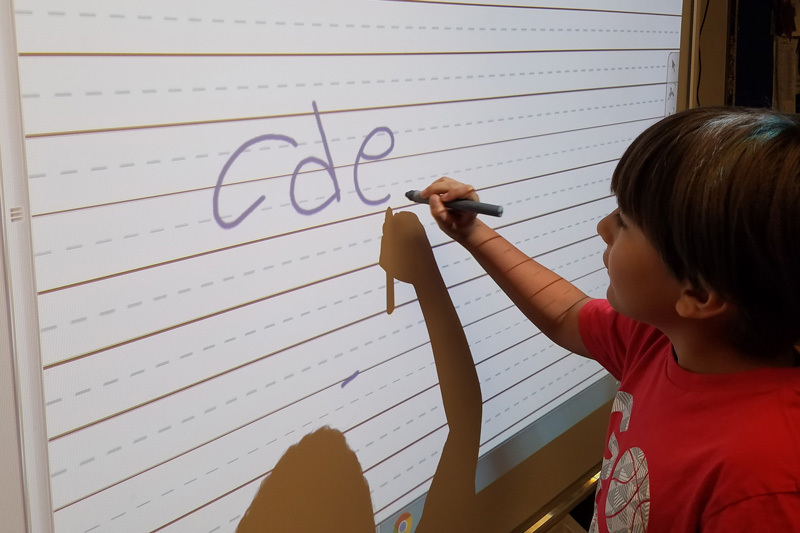 Have you ever wondered about having your students practice handwriting on your smartboard? 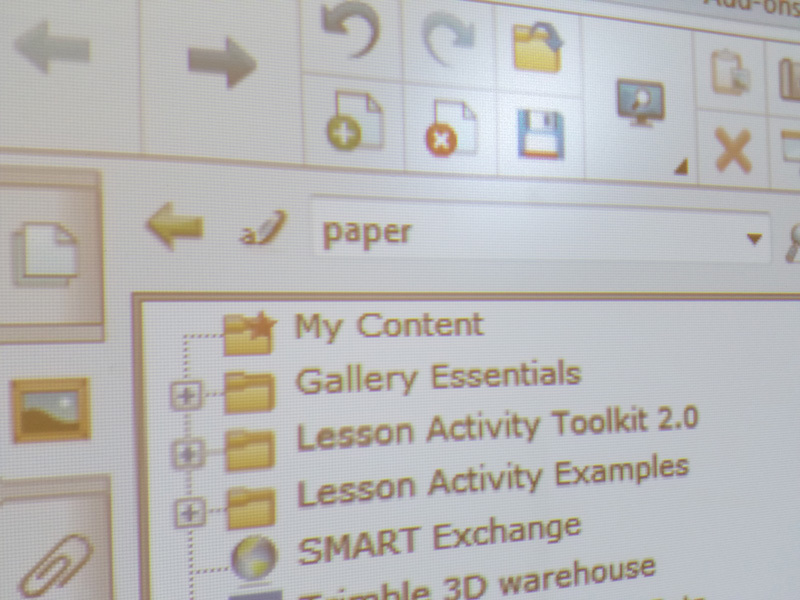 Built right into our available tools is a smartboard for most rooms. 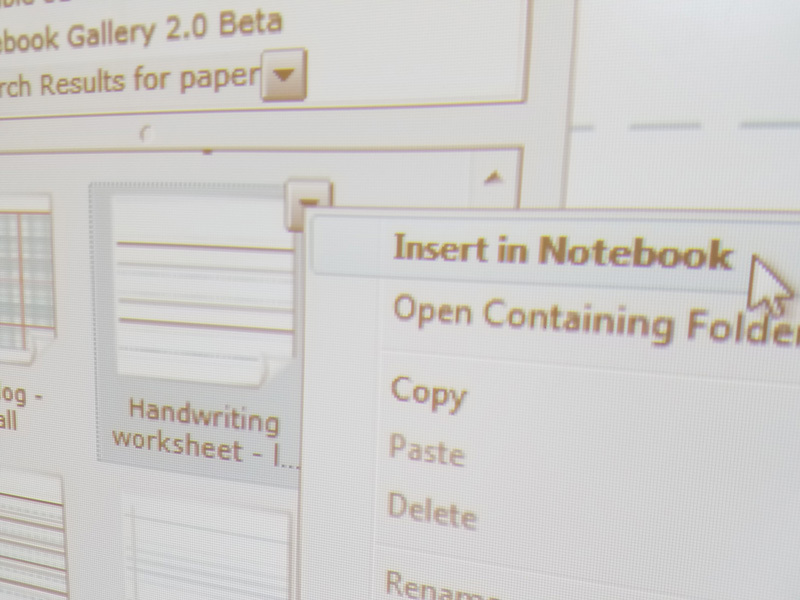 Many will be surprised to find out that in the Smart Notebook software there are backgrounds you can choose from that imitate paper. From the screenshot here you will see me in the Page section. 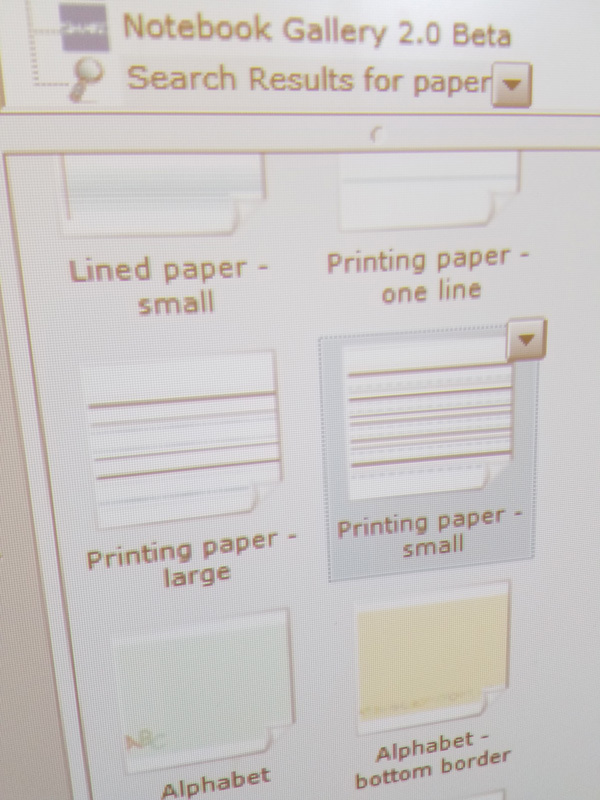 From this section you can do a simple search for “paper” to get most of the useful templates to show up. 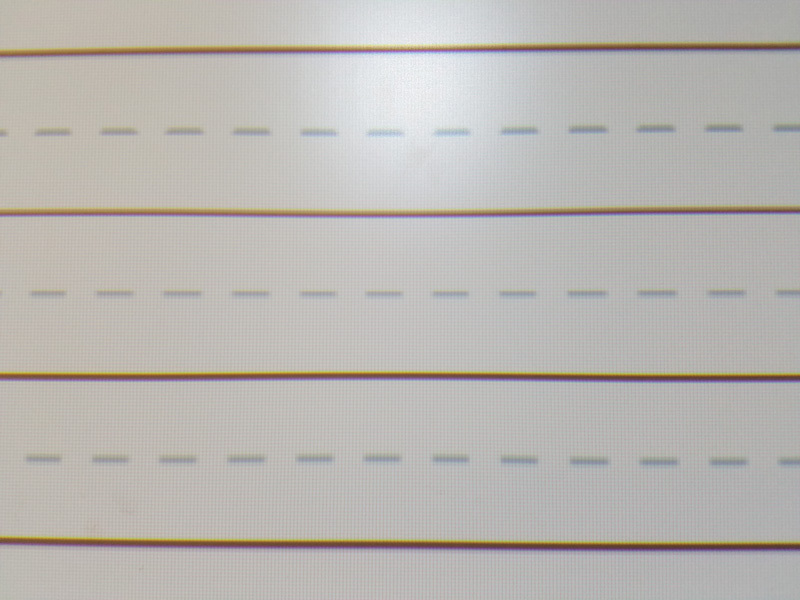 Clicking the triangle symbol on the right of the handwriting worksheet shown here in this example, just click insert into notebook and it’s instantly in your page, filling it completely. There are different styles with different widths to experiment with. 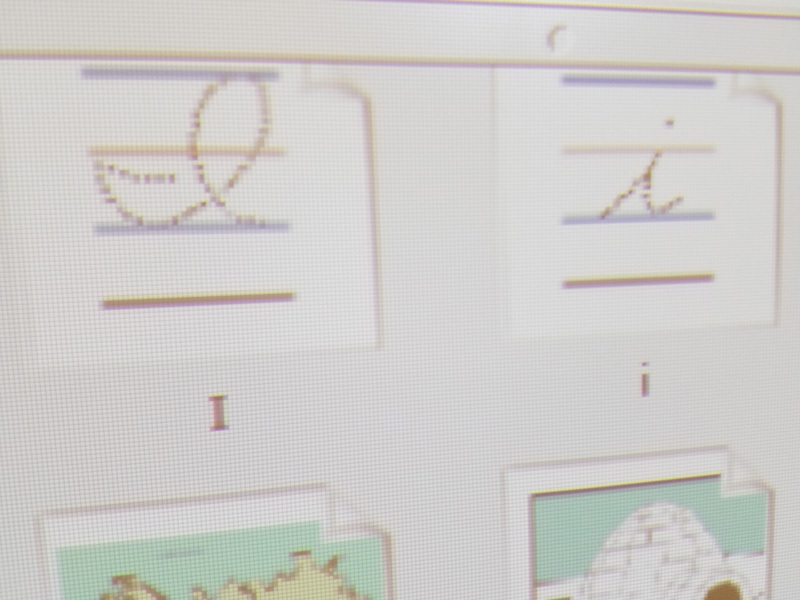 There are even different individual letters you could piece together… page by page if you wanted to. 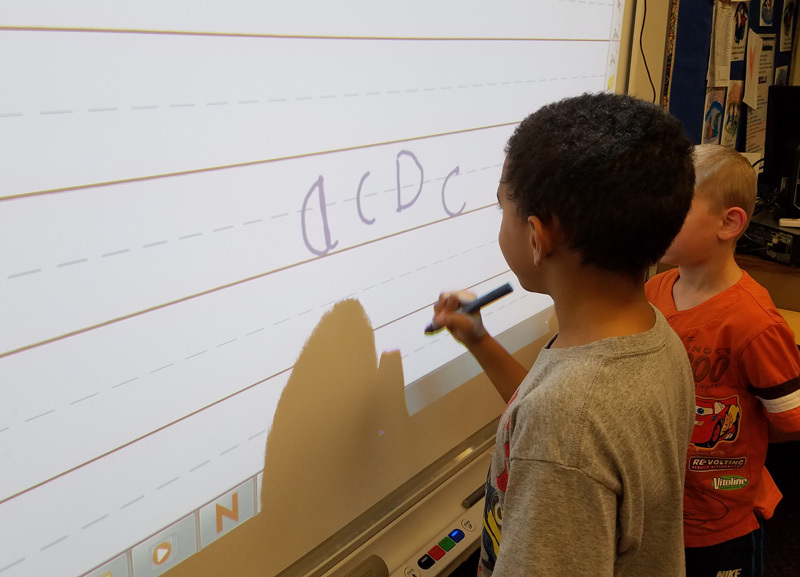 Here are some 3rd and 4th graders playing around with writing letters on the smartboard!